DC’s Legends of Tomorrow takes the fight to Vandal Savage by returning to Rip’s time period shortly before his family were murdered. After making a complete mess of everything they touch since this show began it’s time that the team finally does something right and enjoys some kind of victory. 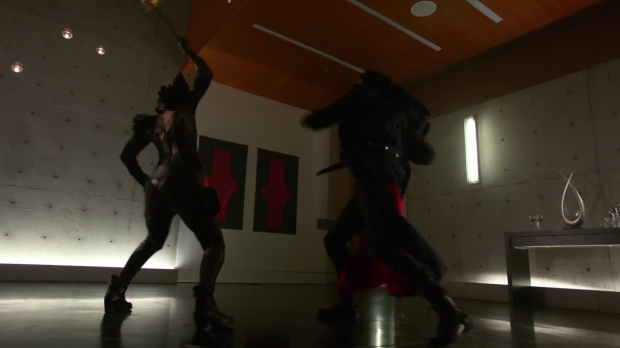 That moment is finally here when they make significant progress in their mission to bring down Vandal Savage. I have to commend this episode for making Savage feel like a significant threat simply by barely having him in it. Whenever he appears he seems like a complete joke that wouldn’t be out of place on Power Rangers but when the extent of his tyranny is discussed and seen through the devastation left in his wake he is given more weight as a villain. The problem is that we’re supposed to take him seriously when he appears and that just isn’t possible given the sloppy writing and bad performances from Casper Crump. For once the team actually have a plan to bring him down when they discover that one of Savage’s right hand soldiers is wearing a bracelet that Kendra wore on the night of her very first death. It has been established that objects present on that night are able to kill Savage for good so the plan is to get a hold of that bracelet and find some way to weaponise it. Sara is on hand to question how a bracelet can be used to kill someone and it’s a question that Rip is unable to answer but a plan is a plan so the team get to work. The bracelet is worn by Vandal Savage’s daughter Cassandra (Jessica Sipos). It makes sense that Savage would entrust something like that to his daughter as it’s an item that has close personal significance to him that is given to someone he is close to. Basically he can trust Cassandra with it but it does make me wonder why he doesn’t have it locked away like he did with the knife back in “Night of the Hawk“. I wonder why a new daughter was created for the purposes of this show as Savage has no shortage of children in the comics. This would have been an ideal opportunity to introduce Scandal Savage or Kassandra Sage -who doesn’t have her own wiki page weirdly- so the creation of a new character feels a little strange. As far as I can tell from her limited appearance here she is something of an amalgamation of these two characters. Cassandra is an interesting addition to the story as she represents an opportunity to get to Savage through someone he cares about. She has the potential to be a weakness for him and it makes sense to try to exploit that. Jessica Sipos’ performance was a little too robotic most of the time which seemed to be intentional. There were shades of depth thrown in through her dynamic with Snart who bonds with her over their shared daddy issues. Snart understands what it’s like to have a violent father figure incapable of showing affection so uses this as a way to relate to her in an attempt to turn her against her father. She turns against her father when she realises that he has been lying to her throughout her entire life. This baffles me when I really think about it because she seems like a smart girl so how didn’t she realise that her father was a bloodthirsty tyrant who stomped all over innocent lives? Did she really believe that he was some sort of heroic figure stamping out an evil uprising considering he is attacking refugees living in tents? It doesn’t quite add up. 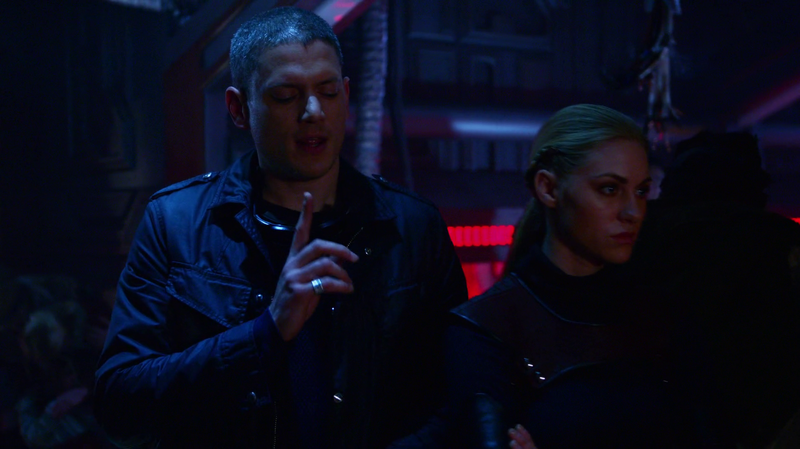 Despite that, Snart taking Cassandra on a tour of what her father is really like works really well. She gets to see the suffering that he has caused and finds out that she has been lied to through footage of him championing the release of the Omega Virus. Her conversion to being an enemy of her father feels a little rushed but it does serve the plot function pretty well and gives this character potential to be a recurring presence. She would certainly have been more effective if she had been introduced earlier in the season to show that she has doubts about her father that were there to be tapped into. It would have made her betrayal of him seem more organic. Kendra finally shows that she is capable of being a badass when she formulates the plan to kill Savage and actually seems to be about to go through with it. The fight sequence is really well done and shows some real ferocity from Kendra who is clearly out for blood. Unfortunately it doesn’t really work out when it turns out that Carter is one of Savage’s anonymous henchmen. Savage uses it as a bargaining chip to keep her from killing him as only he knows how to undo the brainwashing placed on Carter. As something to slow Kendra down I have no problem with it and using it to prevent her from killing him with a mace works but the lack of a counter argument completely sticks out. This is only one version of Carter among many stretching across thousands of years so why isn’t that brought up? It’s true that no version is more or less important than any other but it should be something that Rip, Mick or Snart should remind her of. The argument over saving someone they all know will live again being unimportant when the potential to undo a global threat is right there is definitely worth having and would allow defined lines to be drawn between the characters who will undoubtedly disagree on the issue. With 3 episodes left to go after this one Vandal Savage was never going to meet his end here and neither he should because, as Martin reminds everyone, they are supposed to be better than that. They have to find another way to stop Vandal Savage because they are essentially heroes and should find a better way that doesn’t involve cold blooded murder. What that final solution will be is up for debate but having Savage in their captivity makes more sense given the setup of a group of heroes trying to save the world across all of time. This was a good episode for Kendra who isn’t defined by her relationships for pretty much the first time since the show began. I do fear that this is only a temporary measure as the return of Carter suggests that the next episode will be dripping in angst since her engagement to Ray is bound to fall apart. I hope I’m wrong and this version of Kendra is something that we get to see more of because it really suits her. Rip being back in his home time period is a very distressing prospect for him as it brings back all of the painful memories he has of the loss of his family. 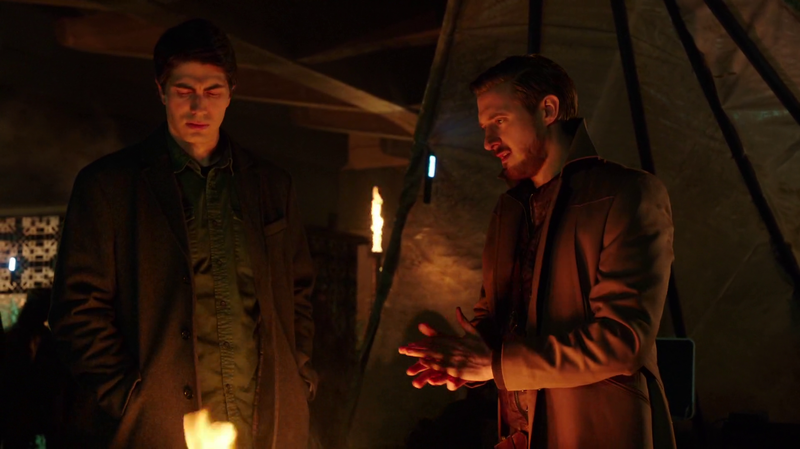 Arthur Darvill fully commits to the emotional weight of the situation and adds real depth to Rip’s complex emotions on the subject. He reveals to Ray that he has tried on multiple occasions to save his family but the result was always the same. He has said on several occasions that “time wants to happen” and this episode shows that he has learned this lesson the hard way by doing everything he can to change what seems to be fated to happen. It’s really powerful stuff and injects real stakes into the situation. They’re not just fighting Savage, but time itself. There are some cheesy discussions about fate and their ability to change it but the underlying ideas are strong so it’s easy to get invested. It’s as yet unclear if they are part of the natural course of history or not but there are arguments either way. A powerful sense of dread fills the episode established by how frantic Rip is to act as quickly as possible. He knows that their chances of failure are about as high as they have ever been so acting quickly and recklessly is about the only idea he has to stay one step ahead and keep themselves alive. Things don’t go well for them when Savage’s weapon turns out to be a giant robot known as Leviathan capable of easily crippling the Waverider before it makes its slow journey to finishing them off. The robot looked great and the nods to Jurassic Park with trembling liquid to convey that something huge was coming were really effective. The absolute highlight of the episode was Ray Palmer reversing his shrinking technology so that he can grow to the same size as the robot and fight it hand to hand. This certainly wasn’t something I was expecting but it’s definitely along the lines of what I wanted to see when the first trailer for this show appeared. 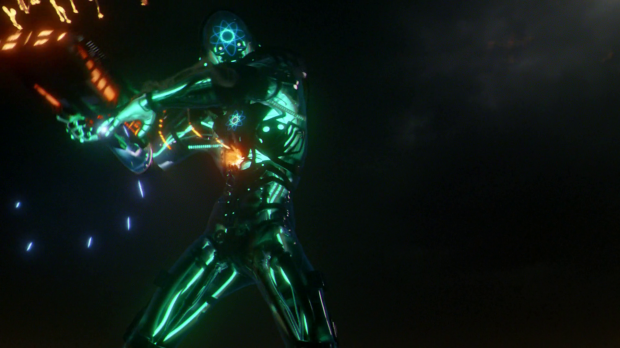 The fight was a great visual spectacle with some really impressive visual effects on display despite the ropey CGI on the giant Ray in close-ups. Considering that the visual effects team are probably on a tight budget I am able to forgive any slightly dodgy visuals considering what they managed to pull off here. It was a pretty long fight and very impressive to watch plus it highlights how resourceful and intelligent Ray is. I could have done without Jax yelling advice and encouragement from the sidelines though. A vast improvement on the majority of episodes this season. 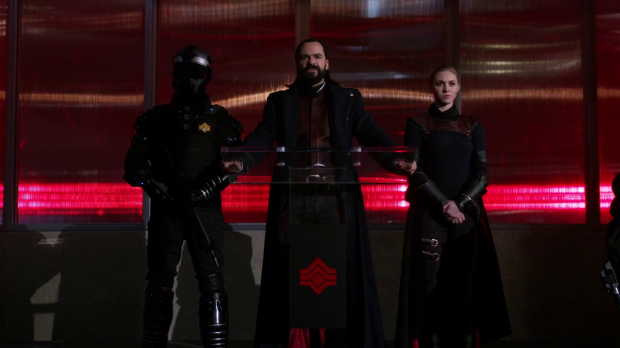 Vandal Savage seemed like a more significant threat than usual as more focus was given to showing what he has done rather than having him interact with the cast. 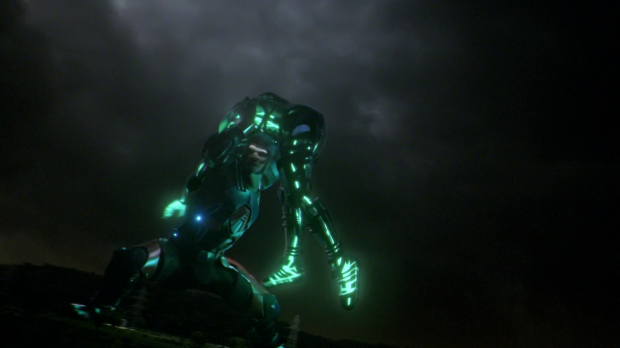 Kendra showing her ability to be more of a badass was a welcome change to the usual material we get for her and Ray’s battle with a giant robot was a visual feast. In a lot of ways this is exactly what the show should be.